Lying starts young. As hurtful as it is to see your precious child being dishonest, every child does it. What is really important for parents is to learn how to accept it as a part of growing up, while teaching them the dangers of lying and guiding them to always speak the truth. I will never forget the first time my oldest started lying. She was just four years old, and the reason she lied made no sense because it wasn't important either way. However, in her mind, she thought it was important to be dishonest to me. It was very unsettling to see that without hesitation she looked me straight in the face and lied to me about something so trivial. It made me wonder if I was just unaware of other times that she lied to me and I just wasn't paying close enough attention to her, giving her the courage to make it a habit. Sadly, lying was something that we had to work through for several years and it was always when she felt that she was going to be in trouble for her choices. As our second child started this human reaction to undesired consequences, it became apparent that we needed to do something different on how we dealt with lying and the effects of them. Those changes were just what was needed to make a lasting effect (and I will share them in a minute) but sadly, the lack of attention when our third child came along found that lies were left unchecked, and habits were growing deeply. Once I realized that he was in fact lying (he was a master of it early, and I'm so hurt that I didn't see it sooner) about little things without any body language or hesitation, I knew that we had some work a head of us. I sat down and had a heart to heart talk with him, shared scriptures from the Bible on the consequences of lying and how they can effect those that you are dishonest with on a continual basis. It didn't take long for him to acknowledge that he lied everyday, about all kinds of things for no reason at all but to lie. It was only then that he accepted the damage that he has done to the trust that is so important. With that he acknowledged that it was his responsibility to rebuild the trust but not without the love and care of his parents who held him accountability for his choice to be truthful in all that he did or say. It was during this same time that our fourth child was approaching his own trial of lying. We realized that the daily examples of lies from our third child had caused an example for him to feel it was acceptable for him to lie over the smallest things, as well. As parents, it was time to roll up our sleeves and gently lead our children to truth. You can easily walk through the important aspects of ‘why truth is so important' and ‘why lying is so damaging' with the easy to remember VOWELS of Dealing With Lying. Every person has told a lie, even George Washington and Honest Abe. It is part of life, and it starts early for most people. There would be absolutely no reason for a person to lie if it weren't for the natural reaction to the concerns of the consequences of an action. The more times that a person is unchecked by another, the easier it is for that person to resort to lying to avoid the consequences they dread. It is really a natural reaction and it is very important that children understand that it is part of a human life. It is right, but it is normal. It doesn't make them a horrible, wicked person because they tried to avoid consequences. It just makes them human. Sadly, adults do this every day in their dealings with other adults. It could be that our observant children have witness someone else getting out of consequences by lying or fear itself drove them to do it. Either way, you need to be sure to not shame your child into feeling different than you when you were a child. Lying is a normal reaction to consequences but it is still sin. 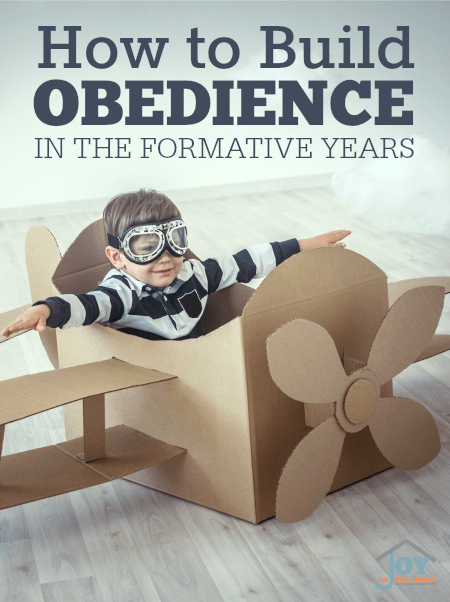 A child needs to understand how sin can grow into habits when consequences aren't put into place to help them overcome this natural tendency. It is imperative that parents understand their own role in unchecked lies and how easily they can grow when we remain busy and distracted by our other responsibilities. It is our responsibility to be discerning of our children's behavior, and reactions to the behavior. Help them to understand that together you will work to break the habit of lies, and work to keep truth in all that you both do. Setting up consequences that the child understands will be the result if they choose to speak lies in the future. Always have them repeat what the consequences will be, and if necessary right them down as a reminder for both of you. Depending on how much of a lying habit your child has, you may want to consider reminding them of the consequences for lying when asking them a question that you feel may result in them wanting to lie to get out of other consequences. Be discerning when you are talking to your child about subjects of previous topics that he or she would lie about. Always speak in a loving and trusting tone, where you child feels safe confiding in you of their wrong actions. The more you demonstrate your love to them the easier it will be for them to open up to you with truth regardless of the consequences. Children need to understand the power of trust and what it really means. They don't just need a definition of trust, but a demonstration of just how important it is in a relationship and when it is broken, how hard it is to put trust in another person. The perfect way to show them this is having them stand in front of you with their back turn to you. Have them close their eyes and fall into your arms without them looking. Repeat this several times, always catching them. Point out how easier it is for them the more they do it. Without them knowing, place pillows on the floor while they have their eyes closed and looking straight ahead (another parent may have to help do this part) and just like the other times have them fall back into your arms. This time, don't catch them. Have them get back into position, and do it again. Only this time, keep the pillows there where they can see them, while ensuring that you will catch them and won't let them fall. Ask them how they feel inside. Do this a few times until they are feeling more comfortable and trusting you again. Next, have them remove the pillows and get ready to do it again. Ask them how they feel now that the pillows aren't there. Your child will have such a power demonstration of what it means to trust, and how it feels when trust is broken. Take sometime to discuss how this is no different for those who are lied to again and again. It is just harder and harder to trust someone, when you broke the trust. Once a child can completely understand how trust can be damaged or broken when a person is lied to, you need to turn the table to how it makes the person telling the lies, known as a liar, feel when his truthful words can't be trusted. They need to understand how a habit of lying can change how others see you, and that hurts the liar more than anyone else. It is harder for them to have friends for a long time, and even when they are telling the truth it is hard for others to really believe them because trust has been broken and not repaired quick enough. A perfect illustration of this is the story of The Boy Who Cried Wolf. It is really important that children are able to identify their feelings. When a child first starts tries out lying, they feel a sense of guilt and shame. The danger is if a parent is too busy or distracted to pick up on this uncomfortable reactions a child has when lying, they begin to ignore these feelings and perfect their skill of deceit and dishonesty. As important as it is for children to learn how to identify their feelings, but they should also understand why these feelings are there in the first time. To do that, they should be encouraged to observe how feelings make them react. When a child is happy, they jump or smile. When they are sad, they cry or frown. When they are scared, they seek security and a sense of protection. When a child feels guilt or shame, they often seek alone time or change the subject. If they understand why feelings make us do certain things, they will understand why lying isn't something that they should do and their conscience already knows that by their reactions. Also have them observe how they feel and react when they demonstrate responsibility or ownership for things that they do right and wrong. There is a sense of relief when someone knows that they did something that they were hiding. It is truly the beginning of healing, and it comes in the form of just ‘feeling better' about the situation. They need to understand that taking responsibility and ownership over something is healthy and always the better thing to do. 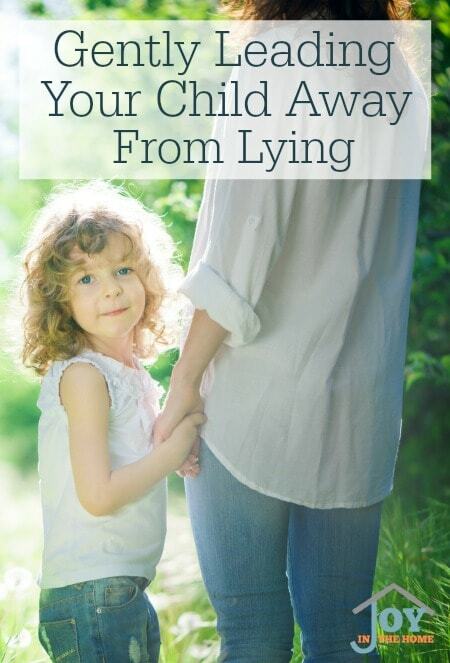 Check out this for more parenting advice about dealing with lying. When these steps, or VOWELS of Dealing with Lying, are worked through with children of all ages it is one of the most gentle ways to lead your child to truth, and leave the habit of lying behind them.